Hello all, for the second time tonight! 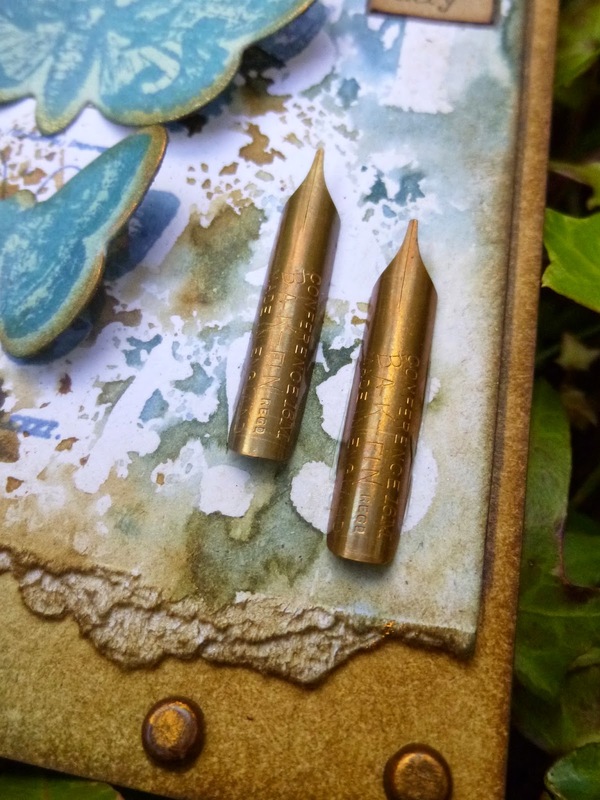 Although I've already been here once this evening for PaperArtsy, now it's time for the new challenge over at A Vintage Journey, and I'm so happy that I'm finally able to jump back on board after having to take a break from vintage journeying for some actual journeying! Get out your avian stash and come fly with us for this leg of the Vintage Journey we're all on. Remember to check out our Travelling Instructions to be sure you'll qualify for a shot at the prize voucher from our generous sponsor Country View Crafts. There's lots of feathery inspiration for you over at A Vintage Journey, but before you migrate over there, here's what I came up with. I seem to have missed the autumnal crafting boat - a pity, as I love those colours - and my mindset has moved firmly towards winter. ... and the other stamped in DecoArt Chalk Paint. And if words are your thing, you can't go wrong with a pen nib! There are toppings of crinkled ribbon, dyed to suit, as usual, and both tied with black paper string just to pair them a little more strongly. And that's pretty much that. Sometimes these amazing Distress products and some atmospheric stamps are all you need, and that's what I was in the mood for this time around. I hope you'll hop over to A Vintage Journey to see what my amazing team-mates have cooked up, and that you'll be inspired to join us for this leg of the journey with your Birds of a Feather. 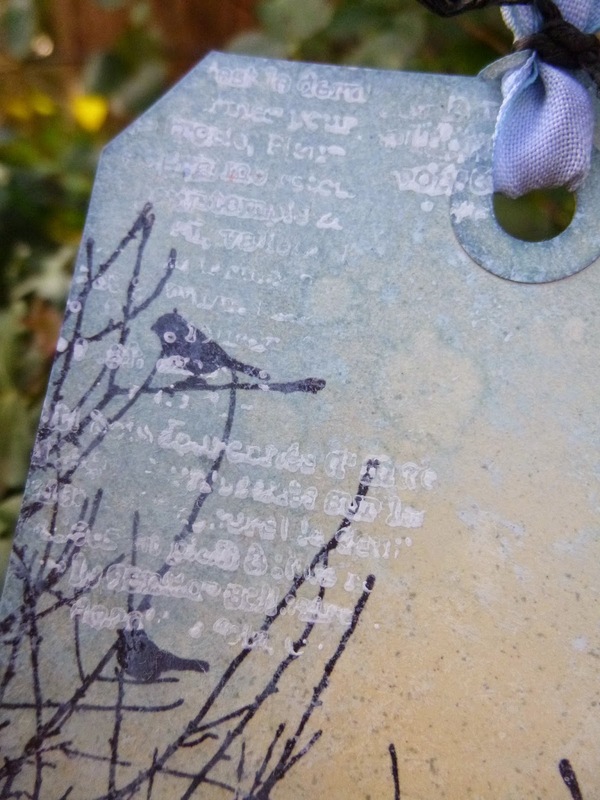 While I'm here I'm also going to do a quick plug for my festive make over at PaperArtsy, seeing as it had only a bare few hours to make its presence felt before the birds swooped in (the birds, the birds). If you're looking for a simple way to make your Christmas more crafty, do hop over and take look at my Perrella Presents! And thanks to the fabulous Deborah from The Rusty Cage for the suggestion to play along at Tag Along with their Winter theme. I'd like to enter the frosty blue branches there. That's my first challenge entry in ages!! Hello all, and thank you so much for stopping by. 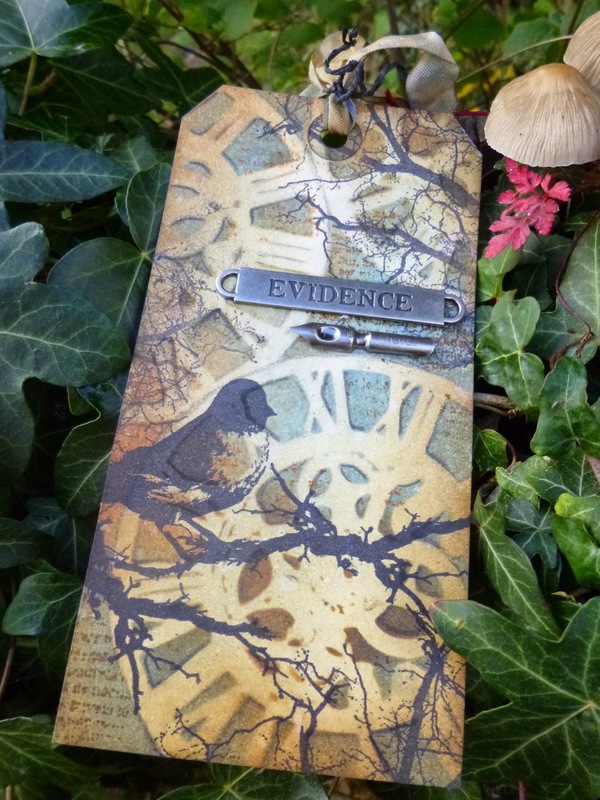 I'm delighted to be over on the PaperArtsy blog again today, with one of my guest designer contributions. If you're aiming for a crafty Christmas, you might want to check this one out. I usually wrap my presents in brown paper and zhuzh them up, but with these I've gone a step further... yup, they're Perrella Presents! It's all fairly simple, so it's something you could build into your Christmas preparations to add that special handmade touch. I hope you'll have time to hop over and check it out. See you again soon - in fact in just a few hours here at Words and Pictures! 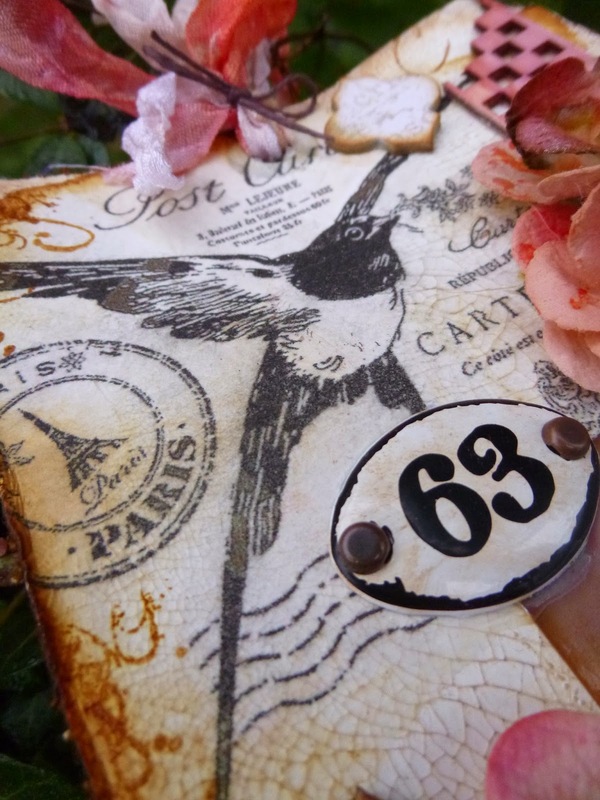 I am... over at Artistic Stamper! Hello everyone. I am... absolutely blown away after two weekends of amazing workshops - Andy Skinner last week, and France Papillon for the last two days. So much inspiration, so many great techniques, and some fab projects that I hope to share with you very soon. But for now I'll just say a huge "WOW!" and get back to business. It's sneak peek time again here at Words and Pictures. 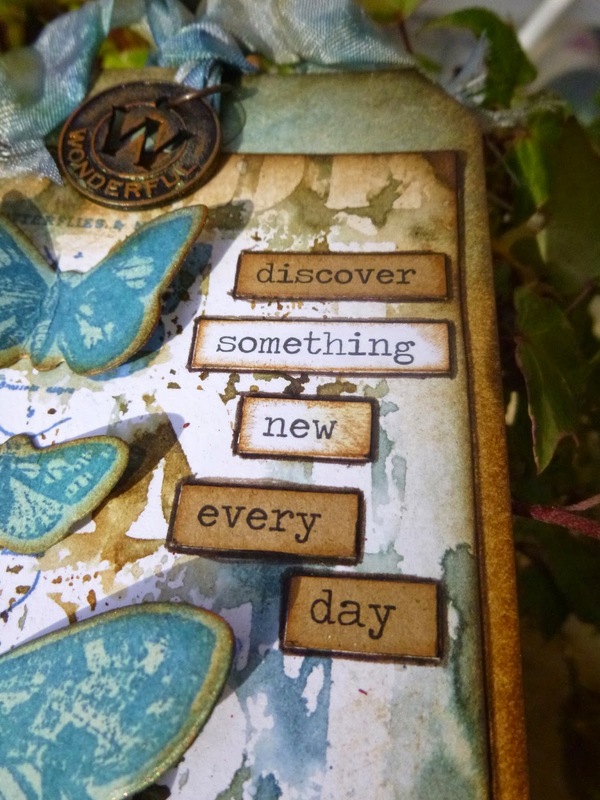 I am... inviting you over to The Artistic Stamper to have a look at a journalling page. 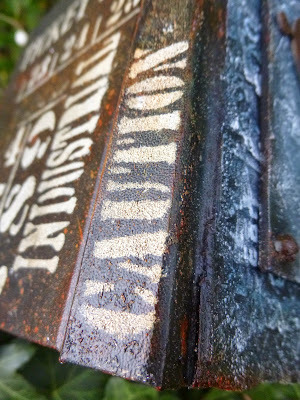 I am... so enjoying playing with the new Distress Stain Sprays, as well my usual wealth of crackly textures. I hope you'll have time to hop over and take a look. Hope you've been enjoying lots of crafty inspiration of one sort of another, and I'll see you again soon either here or elsewhere in Craftyblogland. Have a wonderful week! Hello all! I'm back with my second offering for this month's Bugs, Bees and Butterflies theme at Country View Challenges. I'm afraid I couldn't resist going down the butterfly path again. 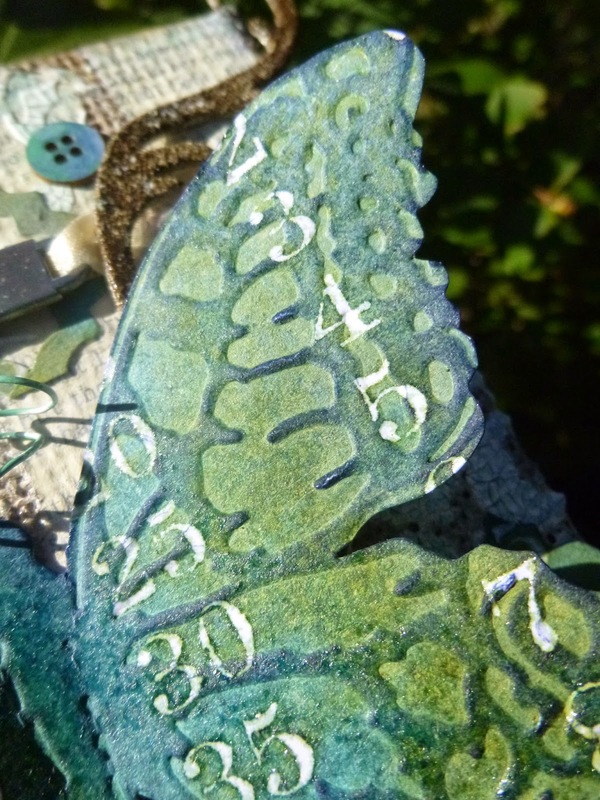 Despite all the numerals you can see, there are always countless butterflies to be found here at Words and Pictures! Really this should have been here earlier in the month, had it not been for my computer collapse. 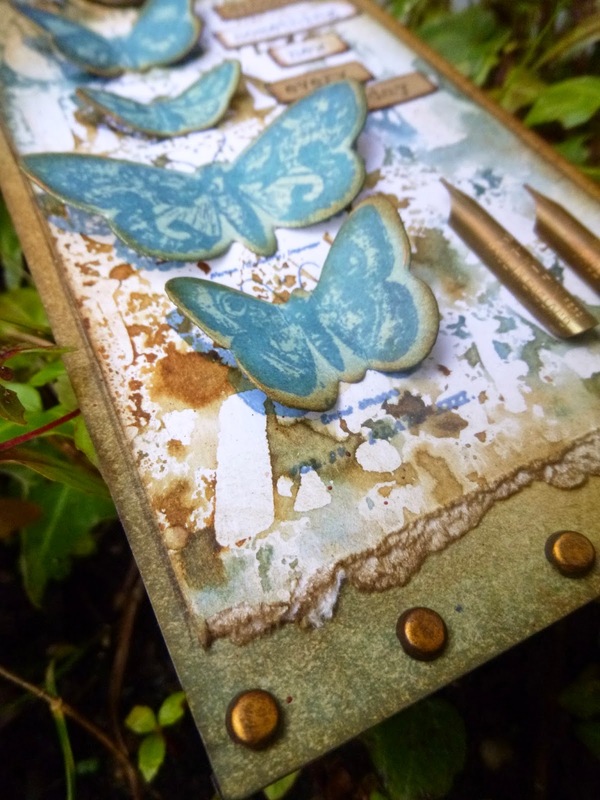 I played with one of the burlap canvases, the Layered Butterfly die and some of my new Distress Stain Sprays - yeah, well, I wasn't going to be able to resist grabbing those while I was in the States, was I?! For the background, I started by gluing strips of book pages onto the burlap with multi medium. I used a hard bristled brush to stipple them down into the woven texture of the fabric. I added some crackle texture paste through a nice baroque stencil (maybe Prima, not sure?) and then gave the whole thing a wash of gesso. I started to blend on some blue tones, Chipped Sapphire mainly I think, to add depth and highlight some of the textures. 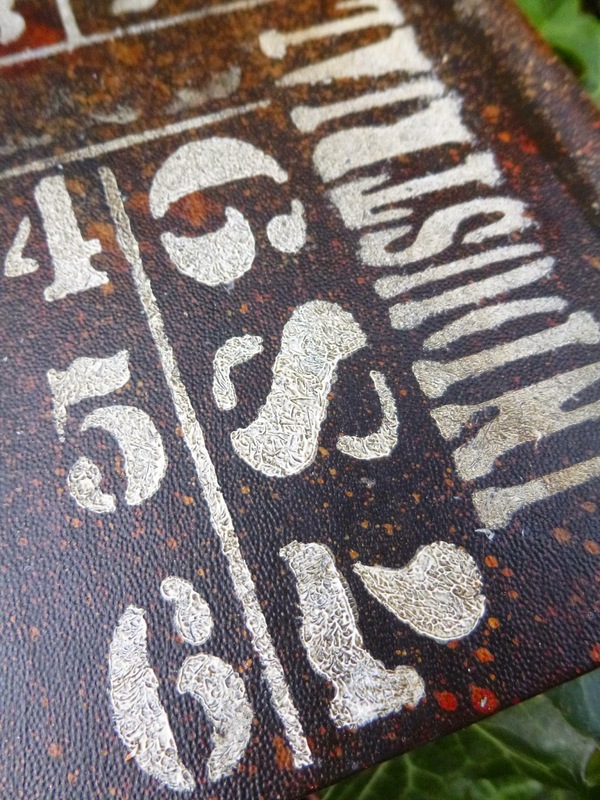 I cut some Tim Holtz flourishes out of Grungeboard, and applied all sorts of embossing powders to them. There's some Walnut Stain Distress Embossing Powder in there, and some Ranger Weathered White, and perhaps a touch of the Ranger Enamelware too. There are various blues and greens involved... I'm not sure any longer exactly which I'm afraid. But I'm pretty sure I used Faded Jeans and Chipped Sapphire Distress Inks to highlight the raised texture once I'd embossed my butterfly. I rubbed the Versamark inkpad across the raised parts too, and then clear embossed over it for a touch more definition and gloss. And of course there's some of my rescued curly notepad wire playing the part of his antennae. I used Evergreen Bough Distress Paint to tint them from their original white. I used the leftover pieces of spritzed Resist paper with the Trellis Frameworks die to create some additional embellishments. These have a softer more muted colour tone, as there's no clear embossing over the inks. Some of them were only pieces or half-shapes - so I took advantage of that to make them go round the edges! I also added some little wooden buttons, altered with the matching Distress Paint colours. The Remnants Word Band has had just a touch of Distress Paint added and then wiped away, leaving the lettering in beautiful relief colours. And I must have been feeling in a frivolous feminine kind of mood, as I felt the need for this nice shiny bow tied around the canvas, attaching the Word Band... lighter than air and slightly glossy, like the butterfly himself. I had such a lovely time making this one - and you can see I caught a nice sunny day for the photographs, which always makes a difference, and definitely reflects the joy this make gives me. I hope you like him too... and there's still plenty of time to come and play along with our Bugs, Bees and Butterflies theme this month at Country View Challenges - go on, defy that winter weather! - and I hope we'll see you there. Thanks so much for stopping by, and I'll see you soon. I've just managed to sleep my first night through since getting back, and I'm really really hoping to get back in the swing of visiting now that the butterfly has properly "landed". Just in case you missed it yesterday, you can still catch my Nicecrane Sponsor Spotlight over at Our Creative Corner. There are lots of ideas for using printables, and quite a pretty tag (feminine and frivolous again, not to mention pink), though I do say so myself! Hello all... I'm not really here today. That's to say it's a only sneak peek here at Words and Pictures. You can find me in full flow over at Our Creative Corner turning the spotlight on our sponsor this month, Nicecrane Designs. 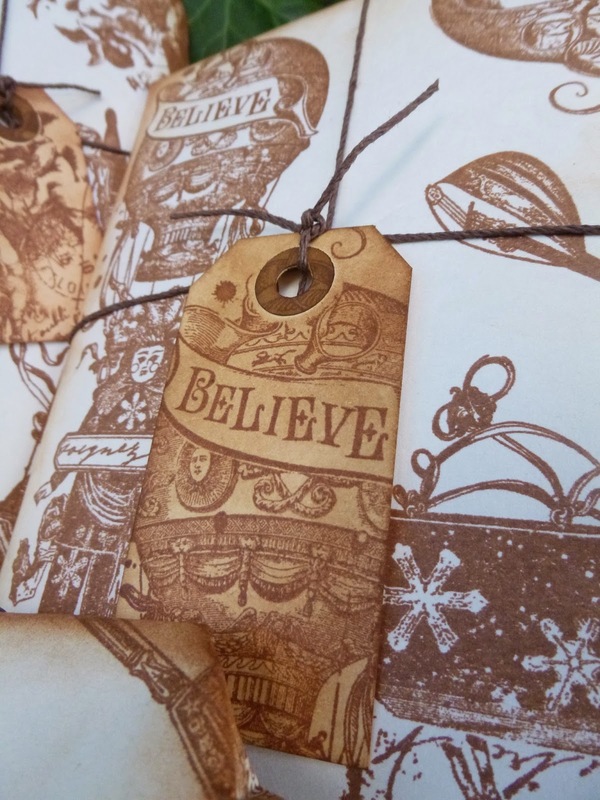 For this Nicecrane Sponsor Spotlight I've played with the fabulous printable images in several different ways, trying to throw some light on how they can fit into mixed media work, not just scrapbooking or card-making. Take a look here at what I came up with. WARNING: there's pink involved!! I hope you'll pop over to Our Creative Corner, and that it will inspire you to explore Nicecrane's amazing range of pictures and images, all available at incredibly reasonable prices. I'll be back tomorrow, but for now I'll love you and leave you, and wish you happy crafting! There are two kinds of light: the glow that illumines and the glare that obscures. Oh, and anyone who's interested... you can check out some photos from Tamburlaine, the show I worked on in New York, on Pinterest. There are rehearsal photos, and production photos, as well as photos about some of the blood effects. You have been warned... it's gory! Hello all! 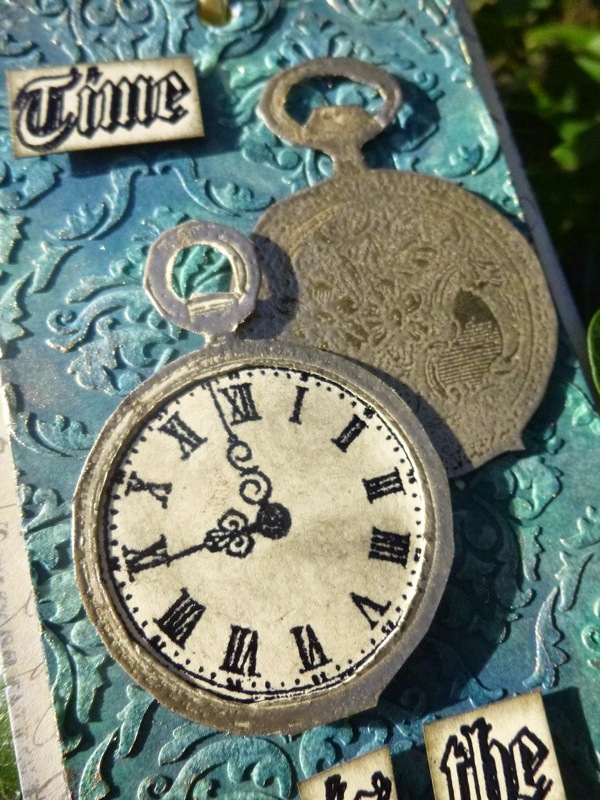 Thanks for your lovely comments on my pocket watch tag - as always I'm so deeply appreciative of your generous feedback. As I mentioned, I've no follow up New York post for you I'm afraid, thanks to the collapse of my laptop while I was over there - no photos! So instead here's a little look at the altered book I made at a brilliant Andy Skinner workshop at Crafting Time in Cambridgeshire during the quick flit back to the UK I had in the middle of my New York trip. I was so thrilled that the workshop (which had been postponed from July) fitted so perfectly into the time... and even more thrilled by the end of it. I had a ball and here's what we made. It started out as one of those bog standard black hardback notebooks, but thanks to Andy's fantastic painty techniques and great teaching, it's ended up being one of my favourite makes ever. I'm not going to spill all the how-to beans - they're Andy's to spill - but here are some close-ups. Within the techniques, we had some flexibility to choose our colour palettes - no surprises that I ended up with blues and rusty browns! 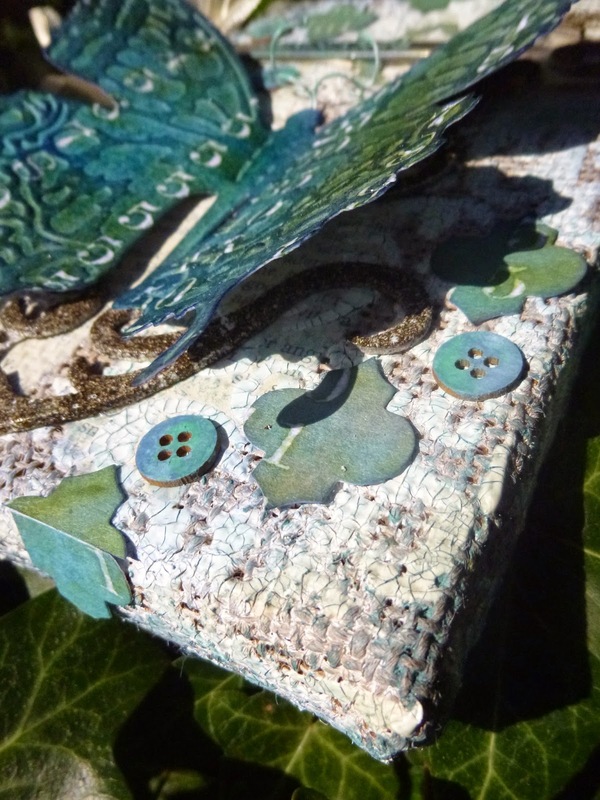 ... as well as good old embossed card to create other textures. So when it came to painting the textured panel, it was almost inevitable that it would start to turn into ocean waves - with a froth of dry-brushed white dancing on the tips of the waves. ... and, of course, around the edges of the cover. As for how he did the back cover - words fail me! It's actually a fairly straightforward process, but what a brilliant effect. And lots of these stencils have gone on my Christmas list. I'm afraid I succumbed to quite a few of the DecoArt products we'd played with, but thanks to my immediate departure to Heathrow the next morning I haven't yet had a chance to play with them. I'm looking forward to some time at the craft table soon. As for whether I'd recommend an Andy Skinner workshop... well, shall we just say I immediately booked myself on the next weekend with him - so I'll be back in Cambridgeshire this Saturday and Sunday for more. Can't wait! Hello all! I'm afraid I'm a little late with this post… It should have arrived at midnight but because of another computer crash in New York, I wasn't able to access my photos until I arrived home tonight - and then it took ages to copy the back up hard drive over to my rescued laptop. I'm happy to say that you can now hop over to Artistic Stamper to see what I've been up to for them after my little theatrical sabbatical. Sadly, the one thing lost forever in the replacing of the hard drive was my later batch of New York photographs, so there won't be another NY post for now. But I'm thrilled that they're already looking at ways to get me involved again at Theatre for a New Audience, so I'll have the chance to go and re-take at least some of them at some point in the future. For now, though, I'm back in the UK, and looking forward to catching up with some sleep, some crafting and some visiting in Craftyblogland, as well as prepping for a whole new Text and Voice challenge which is about to kick off. Life is very exciting at the moment! I'd love it if you have time to "look at the time" over at The Artistic Stamper Creative Team Blog. And I hope I'll have the time to come and repay some long overdue visits very soon. Hello all and welcome back to the second post of the day. Yes, it's the first of the month and it's challenge time! If you're looking for my Christmas is Coming offering for Artistic Stamper, just click to visit it. But now it's over to the new theme over at Country View Challenges. This month we're looking for Bugs, Bees and Butterflies. You can use any or all of them on your project… no prizes for guessing which way I decided to go! For this tag, I reached for something old, something new and something blue. If there's anything borrowed, then I'm afraid the owner can't have it back! The blue obviously is there in the colour palette - blues and browns, probably my all time favourite combination, though one can always ring the changes with the precise shades used. The "something old" is one of the tag backgrounds I made using Tim's June tag technique. At the time I made four or five different colour variations as I was having such fun with the technique. It was finally time for this one to take centre stage. 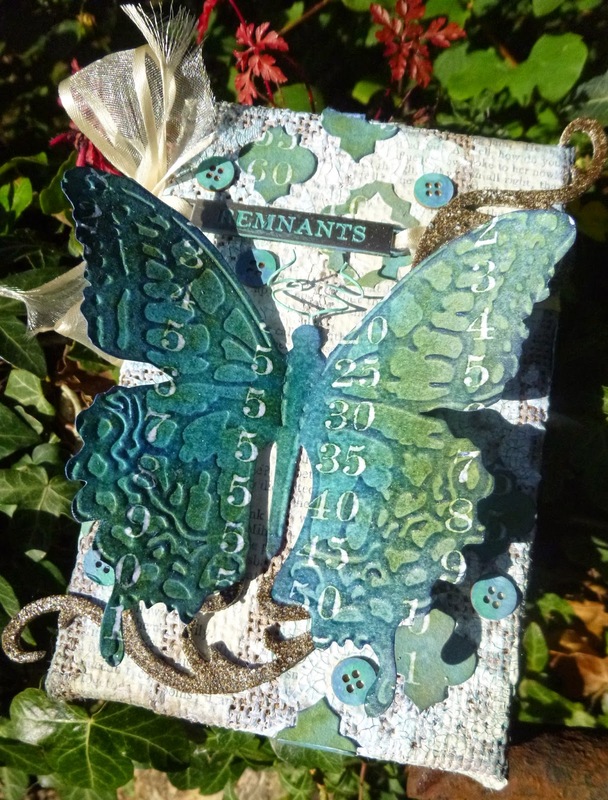 The "something new" are the French Flight Framelits butterflies… my first time of using the stamp-and-cut die set. I love the inky stencilled print effect on the watercolour paper, but since you can read all about the background technique in the words of the master himself, I'll just fill you in on a couple of the additional details. 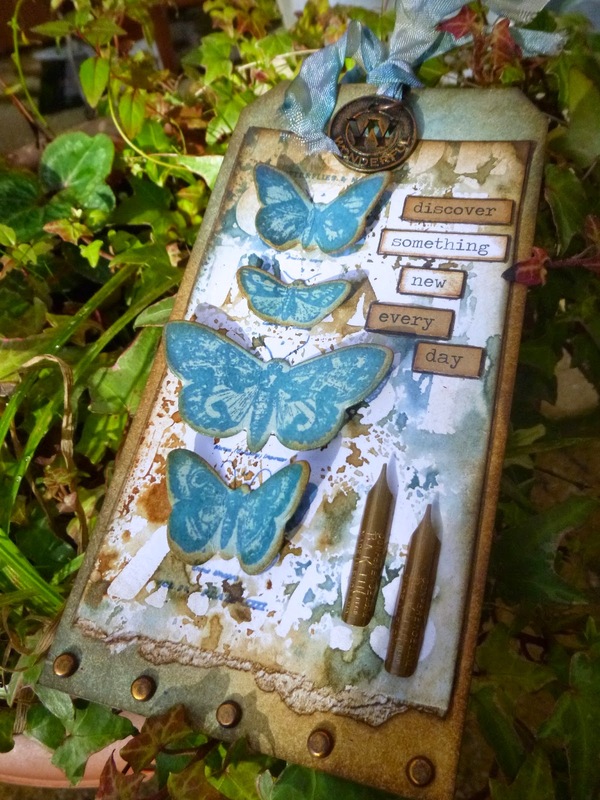 For the butterflies, I inked up a separate piece of card and stamped them in a combination of Cornflower Blue and Aquamarine Archival inks, blended the inks on the stamp. When you cut them, you lose the labels and the antennae, so before gluing them down, I also stamped them directly onto my lettering background in Cobalt Archival. So once they were stuck down, they had their bits and pieces back in place! Here, for instance, in the couple of pen nibs attached as embellishments. And on the altered Muse Token at the top of the tag… just a touch of Treasure Gold can really zhuzh something up! I used some Chitchat Stickers to create my sentiment, outlining with a fine PITT pen to bed them into the background. And because I stuck down the watercolour panel a bit too high up the tag, it needed something extra at the bottom. I used some Idea-ology Long Fasteners to create a row of studs. A burnishing of Treasure Gold to make them tone in, and we're pretty much there. Oh, not forgetting the Distress Ink-dyed ribbons of the topping, of course! So there are my first Bugs, Bees and Butterflies. Do hop over to Country View Challenges and see what my fantastic team-mates have been up to, and don't forget there's ongoing inspiration there throughout the month. I'll be here in a few days with my second Bugs, Bees and Butterflies offering, but I'm off to the theatre again now. As well as new challenge day, the 1st November is also our first Preview, so today we find out how the show goes down with an audience… fingers crossed. Thanks so much for stopping by. I've just over a week left in New York now, so I should be able to visit Craftyblogland more regularly again soon. Happy crafting all. 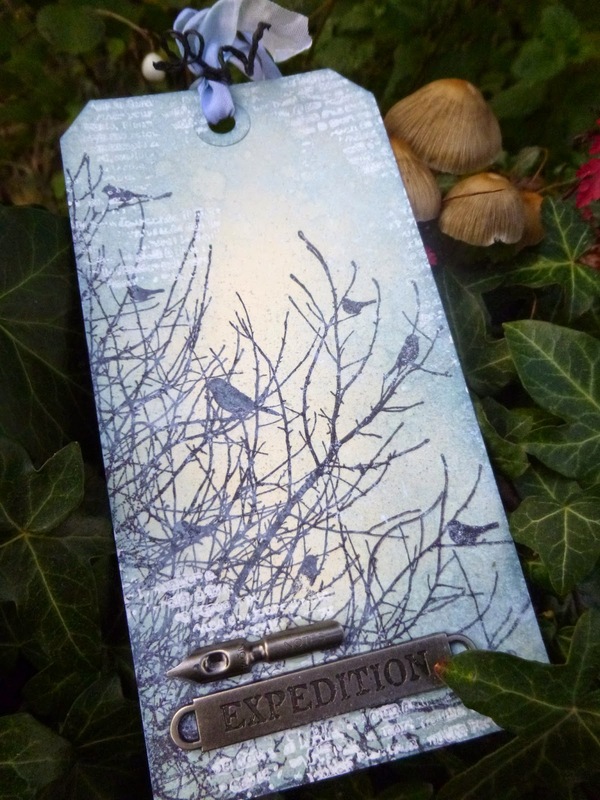 If you're after seasonal inspiration do check out the new Artistic Stamper challenge too. Christmas doesn't usually start this early at Words and Pictures!